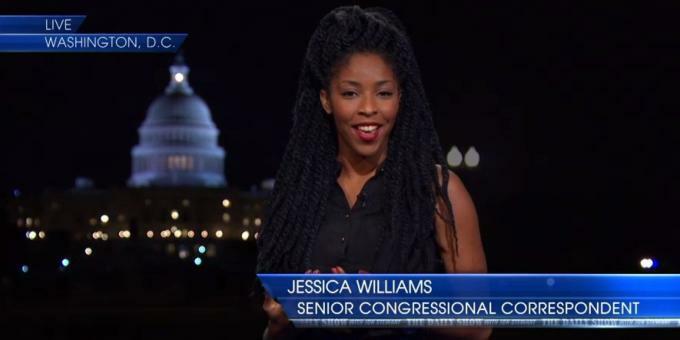 I thought for sure that my next update in the trouble with white feminism series would be about Jessica Williams’ decision to take herself out of the running to replace Jon Stewart as the next host of The Daily Show. Following her very clear declaration about her decision, a number of white feminists stepped into Williams to let her know that she wasn’t doing feminism properly, needed to “lean in” and was likely “the latest victim of impostor syndrome.” Quickly afterward, several black feminists and womanists, including Mikki Kendall and LaToya Peterson, explained in detail all that was wrong with this. Quite capable of speaking for herself, Jessica Williams fired back at white feminists and urged them to “Lean the F*** Away From Me,” in a counter to the Sandberg-ian admonition to “lean in”. On Sunday, Patricia Arquette won an acting award and gave a controversial acceptance speech on primetime network television that made Jessica Williams and that cable show where she works all last week’s news. Since Arquette’s speech, a rather remarkable thing has been happening. Suddenly, ALL kinds of people are talking about, acknowledging and critiquing white feminism – like it’s a thing now. All sorts of people who aren’t usually critical of and, indeed, barely acknowledge that there is even something called “white feminism,” are now writing about it like it’s their regular beat. I’m not mad, I’m just noticing. So, perhaps my work here with the trouble with white feminism series is done! Well, almost, but not quite yet. Arquette’s speech about “taxpayers” and “citizens” (pictured above) was for many folks a dog whistle about race and immigration. Put another way, lots of people thought “taxpayers” and “citizens” was a not very thinly veiled reference for racially coded language that meant “white people”. So when Arquette joined the ideas of “taxpayers” and “citizens” with her language about feminism, well, the “equal rights for women” part was hard to disentangle from the “taxpaying citizens” white supremacy part. So, what is wrong with this? What is the trouble with white feminism here? As many others have noted already, there’s a bunch of trouble here. It is a condescending move, to demand that “Others” enroll in one’s struggle. The “intersectional fail” that Andrea Grimes is about who is included in the term “woman” or “women” as Arquette uses it. If you ask, “the gays” and “the people of color” to join in your fight for “women’s equality” the immediate question becomes: which women do you mean? Because actual people – actual human beings – get left out of that way of talking about “women.” Arquette’s call to action is one that leaves out queer, trans, lesbian women of all races and women of color of all gender and sexual identities. Perhaps it is because I was raised in Texas under a particular regime of white womanhood, that these words, this tone sound familiar to me. This is what we used to call being “put upon,” the idea that someone was taking advantage of your good nature. White women, like my Big Granny, were especially good at it: “I’m just going to sit here, and suffer in silence, you’ll never hear a word out of me,” she used to say, with her strong Texas accent and not a hint of irony. She was aggrieved – as were most white women I knew in my family – because they had done too much for everyone else, and, a life time of that builds up bitterness, resentment and a sense of being aggrieved by the whole world. While it may be that a patriarchal culture demands this of (some) women, no one is asking white feminism to save them. There are other “breaking points” when challenging white feminism. For people of color, the initial challenge is simply being heard, as they are frequently ignored. Once their voices have registered, they risk being bullied and verbally abused (or worse). Most likely they will be called “angry”, or in some cases, accused of starting a “race war”. These misreadings of critique as attack cause white women to further retreat from engaging about race and may even lead them to excluding women of color from feminist organizing in order to avoid even the possibility of criticism. For white women, like myself, speaking out about white feminism is to risk losing connection with white women – and the opportunities that come with that – and, to risk hurt feelings. Even as I was writing this piece, I could not keep from my mind the white women I know who might be upset by my writing this. To speak about white feminism, then, is to speak against a social order. As I read it, Ahmed’s is a hopeful analysis for those who seek to challenge white feminism. For those who are willing to cause unhappiness by challenging white feminism we can find each other as we work together and share our alienation from it. The trouble with the white feminism in Arquette’s speech is tied to the historical past of white colonialism and the messy present of liberal feminism that centers white women’s experiences as the archetype, the conveners, the agenda-setters, the deciders for what matters. Arquette’s brand of white female liberal feminism, the sort that brings other liberal feminists like Meryl Streep to her feet in cheers, is the sort that will overtake this country should Hillary Rodham Clinton finally decide to run in 2016. Women like Arquette and Clinton are the reasons why I plan on not being in the US at all in 2016; my anger at their myopic, ahistorical, and entirely condescending politics — don’t you people of colour and gays ever forget what we did for you — is likely to result in either an angry ulcer or a deep, long fit of depression for me. AprilTara, The Art of Feminism, What’s Wrong with Patricia Arquette’s Comments? 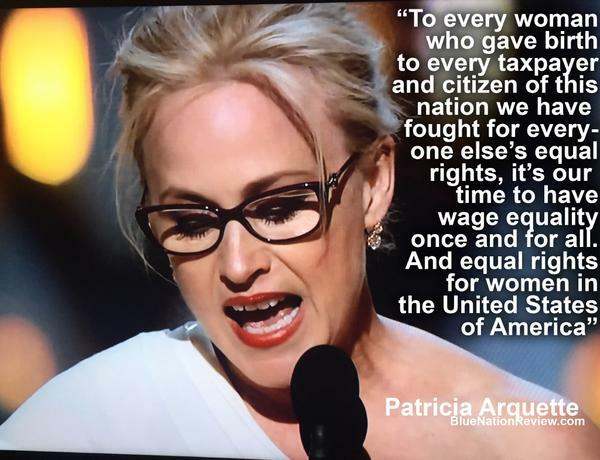 Andrea Grimes, RH Reality Check, Patricia Arquette’s Spectacular Intersectionality Fail. Tara Culp-Ressler, Think Progress, The Problem with Making Celebrities Like Patricia Arquette the Face of Feminism. Kelsey McKinney, Vox, Why women like Patricia Arquette Continue to Whitewash Feminism. Blue Telusma, The Grio, Dear Patricia Arquette: Blacks and Gays Owe Women Nothing. Luvvie, Awesomely Luvvie, About Patricia Arquette’s Backstage Speech at the 2015 Oscars. Cohen, Family Inequality, Quick Note on Patricia Arquette and White Feminism. Dave Zirin, The Nation, Patricia Arquette’s Equal Pay Message Needs a Drastic Rewrite. Marcotte, XXfactor Slate, Patricia Arquette’s Feminism: Only for White Women. ~ This post is part of a series, The Trouble with White Feminism. If you’re new here, this is the sixteenth post in an on-going series I began in 2014. To read the previous entries, begin with the initial post and navigate through using the “Read next post in series” link at the bottom of each post. Eventually, I’ll compile all these into a book. If you have suggestions for what to include in the series, use the contact form on this blog, or hit me up on the Twitter machine: @JessieNYC. 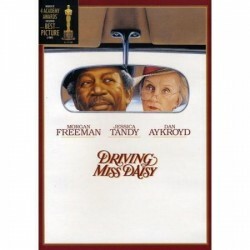 The unrelenting whiteness of the annual Academy Awards show has finally gotten to be too much. 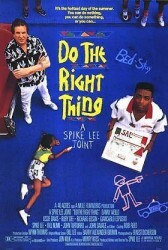 After decades of ridiculous votes, like the Academy’s preference for “Driving Miss Daisy” over Spike Lee’s “Do the Right Thing” in 1989, folks have had enough. The hashtag #OscarsSoWhite created by lawyer, blogger and social media professional, April Reign (@ReignofApril) has exploded on Twitter, with people posting something like 95,000 tweets per hour. For the full rundown on the hashtag and the unbearable whiteness of the Oscars, see this terrific piece by Rebecca Theodore-Vachon (@FilmFatale_NYC). 2. Selma. The powerful drama about the epic march from Selma to Montgomery in 1965 and Dr. King’s campaign for equal voting rights, directed by Ava DuVernay, is currently available on iTunes. Enjoy counter programming your evening. Or, more radical still, read a book.